Hi guys and welcome to this blog post. 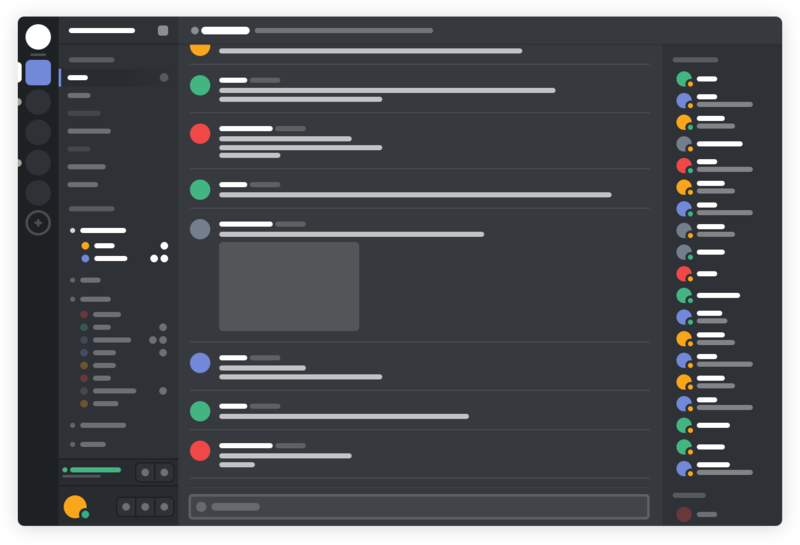 In this blog post I will explain what Discord is and how you can use it. Discord is a Free Voice and Text Chat for Gamers Communities. The fact that Discord has a lots of features especially for Gamers is true. But that doesn't mean it fit only into this category. You can use Discord for much more! That being said lets walk trough some examples. How can I use Discord? You can use Discord as collaboration plattform for your association or new startup or whatever you like. Personally I use Discord for my company, my blog and with my friends and I'm part of a registered association so we use it there as daily communication plattform aswell. Also almost every community has Discord these days. For example the PCMR subreddit (https://www.reddit.com/r/pcmasterrace) or the Fextralife Wiki network (https://www.wiki.fextralife.com/). And since you can have Discord on several devices, reaching out to your friends was never easier. Or search on Google for more servers that fits for you. Why should I use Discord over Teamspeak or Skype? And the fact that hosting a server is free and a setup of such just takes seconds. See this post for a features comparison.